매일 하루 1 ~ 4정을 섭취하세요. 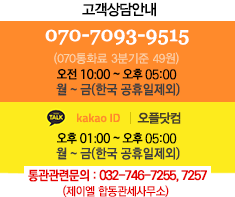 디인돌리메탄은 주로 브로콜리, 양배추와 같은 채소에서 발견되는 천연 대사산물입니다. 디인돌리메탄은 유방 건강에 도움을 줍니다. 디인돌리메탄은 자국 내막이나 조직에 관련되어 에스트로겐의 원활한 생성에 도움을 줍니다. 인공색소 및 향료가 들어있지 않습니다. DIM is an indole phytochemical that is a natural metabolite of compounds found in cruciferous vegetables such as broccoli, Brussels sprouts and cabbage. In animal and in vitro studies, DIM has been shown to lead to the preferential formation of estrogen metabolites that are correlated with healthy breast, endometrial, and cervical tissues. This unique property sets DIM apart from other plant nutrients. Source Naturals DIM is combined with phospholipids, vitamin E and BioPerine(R) for enhanced absorption. • Do not take this product if you are pregnant, may become pregnant, or breastfeeding, or are taking immunosuppressive therapies. • Do not use if either tamper-evident seal is broken or missing. Keep out of the reach of children. • 1 to 4 tablets daily with meals. • microcrystalline cellulose, magnesium stearate, colloidal silicon dioxide, and stearic acid. 생리통+턱여드름에 효과 봤어요. 세 통째 먹습니다.